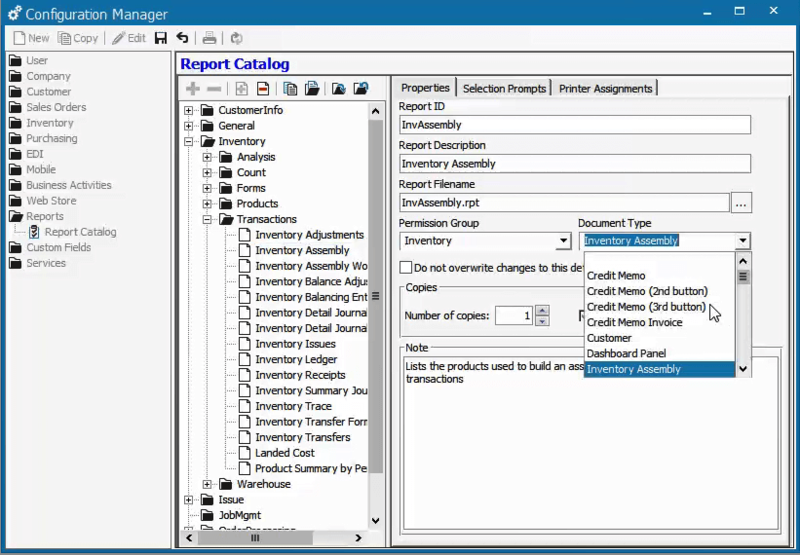 The Report Catalog in Acctivate Configuration Manager allows a user to manage all the reports in the system. 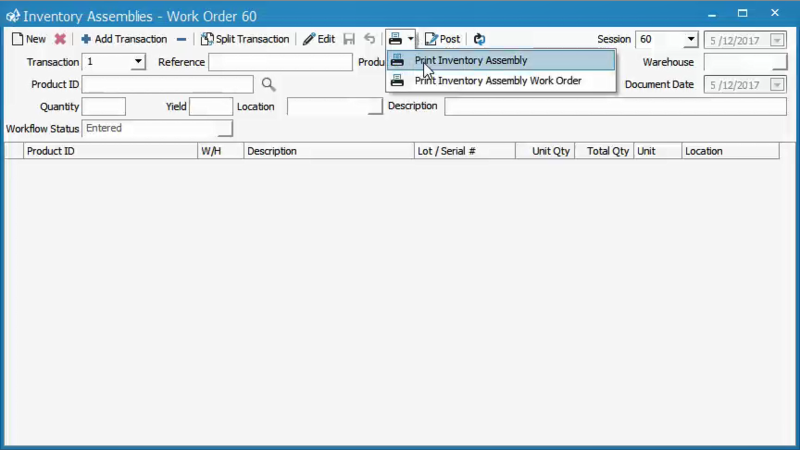 A configuration option is the ability to set Document Types for any report. Acctivate can use various document types to control which users can access that report and where a user can find the report in Acctivate to print out. 2. Click on Edit then select desired report. 3. Click on the drop-down list under Document Type and choose a location for the report. 4. Click Save and close the Configuration Manager. 5. Now check if the report is in the chosen location.